Recognizing that one of the biggest challenges artists and other entrepreneurs face is access to capital, TwispWorks started the Methow Investment Network (MIN) in 2017. The MIN connects community members interested in investing locally with Methow Valley entrepreneurs needing capital to start or grow their business. The program moves money ‘from Wall Street to Main Street’ by matching lenders with businesses and providing training and mentorship throughout the process. MIN Investor members are residents who understand that keeping their money local strengthens and diversifies our economy and promotes job growth in the Methow Valley. Business opportunities are distributed to members as they are received, and members come together for pitch nights and networking events 3-4 times per year. There are currently forty investor members and over a dozen businesses that have pitched their ideas to the network resulting in more than $1M invested in local businesses in less than two years. One local artist, Robin Doggett recently received a micro-loan from one member of the MIN to establish her new business, fledging from the TwispWorks campus to her new 2nd Avenue location in Twisp. Robin’s new studio is a multifunctional space, serving as a design and printing space for the artists’ and a letterpress printing business with a small dedicated retail space offering printed works, including books, stationery, and paper gifts. 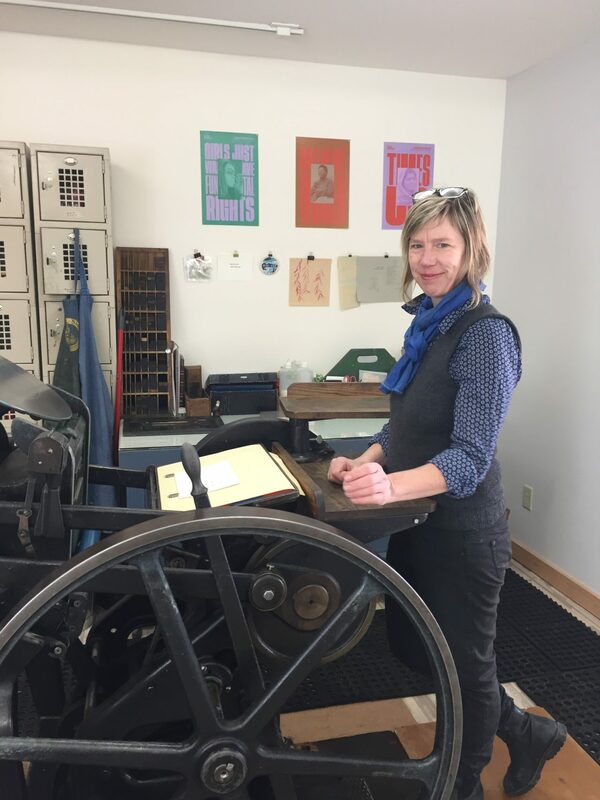 Robin hopes to add to the expanding arts representation in Twisp and will be working this spring to build a catalog of letterpress printed work to sell locally, regionally, and online. The studio is also home to several pieces of historical printing equipment including a hand-operated letterpress dating back to 1911. Robin uses the press in making her designs as well as custom client-based work. Visitors to the studio can share in the experience with printing demonstrations on Saturdays during the Methow Valley Farmers Market. Be sure to visit Robin’s new studio to see all of her exciting new creations and celebrate the community’s commitment to investing in the arts! INFO/CONTACT: www.twispworks.org , or Don Linnertz at 509-997-3300.